Hello everyone and welcome to the last Tasty Tuesday of the semester featuring Mama Jee! The restaurant opened it’s doors this Spring, but even before it opened, it was already garnering attention from onlookers...and the hype still continues. Before the May 1st Grand Opening, I decided to check it out for myself and I was not disappointed. The interior of the Mama Jee embraces a red, white and black color scheme making the place feel elegant but still relaxed and comfortable. 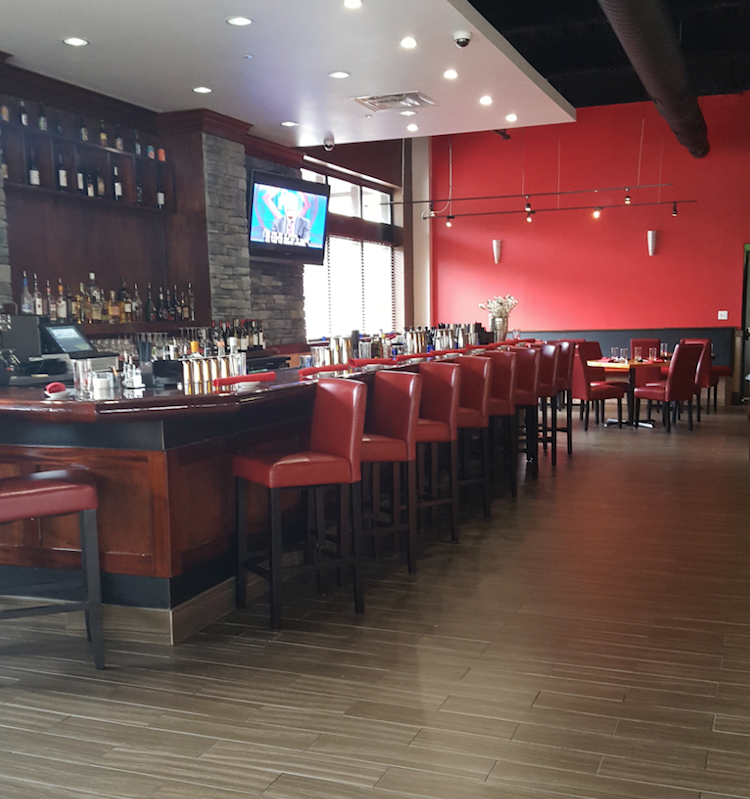 The sleek red furniture and colorful walls are distinct, stylish and fitting in the modern space and offset the darker countertops of the bar and sushi bar. The restaurant also has televisions by both bars. 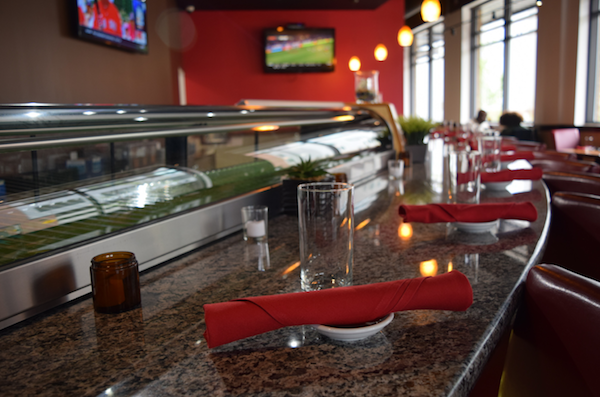 Outside of having an extensive sushi menu, Mama Jee also offers many unique Thai dishes, so if you’re looking to try something new you know where to go! I personally decided to go the sushi route and ordered the Macho Roll, now called the Surf n’ Turf roll. 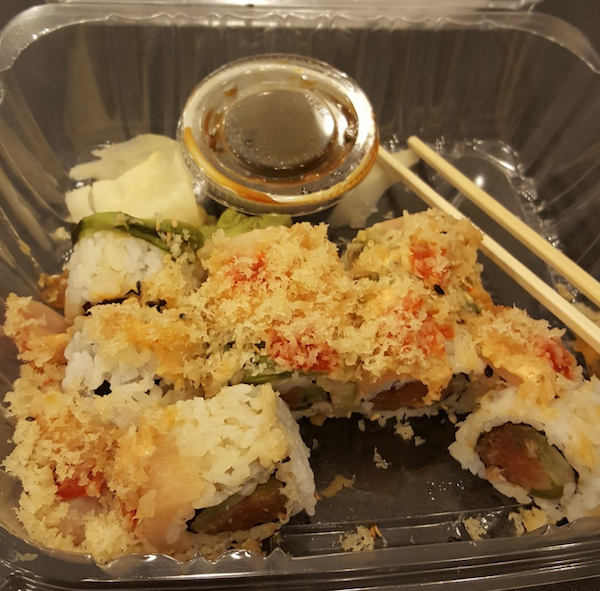 The taste was a good kick in the mouth but subtly spicy at the same time, and I especially enjoyed the extra tempura crunch. What makes the food taste even better (if possible) are the great lunch deals that Mama Jee offers. For example, you can get two specialty rolls, usually priced between $11 and $15, for $16, or four for $30. In addition to the food, Mama Jee also creates unique cocktails often served with fresh fruit. With a modern feel, delicious food and exciting drink choices, Mama Jee is the perfect spot for date night or a lunch out with friends! Mama Jee is conveniently located on the first floor of the newly finished and fully-leased 105 Friendly Drive building, close to Stanhope, Valentine Commons and University Towers. Lunch Hours: Mon - Fri: 11:00 a.m. - 4:00 p.m.
Dinner Hours: Mon - Thurs: 4:00 p.m. - 10:00 p.m.
Fri - Sat: 4:00 p.m. - 11:00 p.m.
Sun: 5:00 p.m. - 10:00 p.m.